Daniel Ricciardo took a fine pole position, the first of his Formula 1 career, at the 2016 Monaco GP. The Australian driver managed an inch-perfect lap of the principality, setting a time of 1min 13.622sec that clinched him the top spot on the front row of the grid. It was also proving to be a weekend where the Red Bull Racing team appeared to be a class apart, with Mercedes trying to catch up, but unable to. Nico Rosberg settled for second spot on the grid, three-tenths behind Ricciardo. 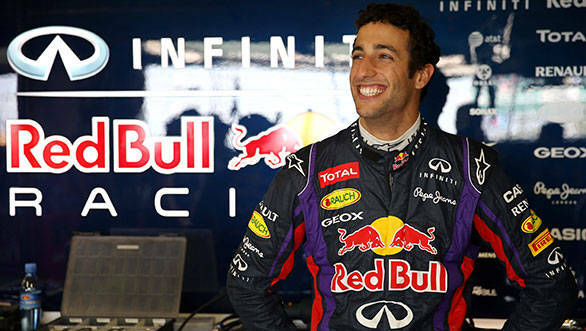 But for a mistake from Ricciardo's team-mate, things might have been perfect for Red Bull. Unfortunately after having won his first ever F1 race in Spain, Verstappen crashed during qualifying, which means he will start tomorrow's race 21st. Third place on the grid is occupied by the second Mercedes, with Lewis Hamilton managing to overcome a weekend plagued by technical issues to start from the second row of the grid. Lining up alongside him is Ferrari driver Sebastian Vettel. Fifth place on the grid goes to Nico Hulkenberg who took the Sahara Force India to its best qualifying position of 2016. While the second Ferrari of Kimi Raikkonen did qualify sixth, it will only line up 11th on the grid thanks to a penalty for a gearbox change. This elevates Carlos Sainz Jr, Sergio Perez, Daniil Kvyat and Fernando Alonso to sixth to ninth on the grid.